A new study has been launched to see how far weaver chicks move after leaving their nests. Southern Masked and Cape Weaver chicks will be ringed in the 2009 breeding season (August to December) on the Cape Peninsula. 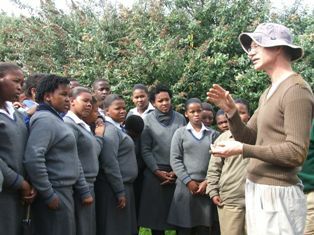 Mistnets will be used in 2010 to try to recapture the ringed weavers. In a feasibility study during 2006-2008 a total of 278 weaver chicks (121 Cape, 157 Masked) were ringed and 20 were racptured (7 Cape, 13 Masked). In this new study, many more chicks will be ringed over a wider area, with more systematic coverage. 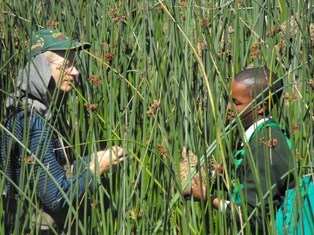 The study area is approximately from Rietvlei south to Kommetjie, and east as far as the N7. To become involved in this project, see email below and calendar of ringing events in cape Town. In the table below the totals are shown for Southern Masked Weaver (SMW) and Cape Weaver (CW). The tables will be updated weekly. 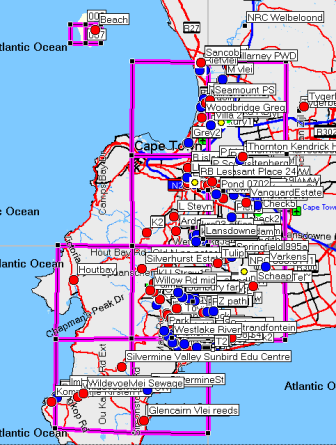 The Cape Peninsula has been divided into 10 grids to include most weaver colonies (see map below). More photos may be viewed here. On 2 December 2011 Cassy Sheasby, one of the City of Cape Town's Biodiversity Area Managers, recaptured a Cape Weaver with ring CV53620, at Psoralea Village. together with some juvenile Cape Weavers and other birds. Bird CV53620 had been ringed by student Christian Escher as a chick in a nest in Admiral Way, Marina da Gama - there is no PHOWN record on 23 October 2009 when the chick was ringed, but there is an earlier PHOWN record for the same colony here. This is now the oldest retrap of all the chicks ringed in 2009 for studying natal dispersal. 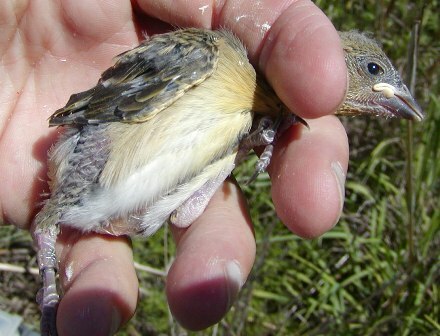 The previous news item about this natal dispersal project was also a Cape Weaver chick retrap. The headers below refer to Weaver News items featuring this project. Click on a header to see the News item, which includes the full news item. (The number in brackets is the date that the news item appeared on Weaver Watch).